Fits most any muzzle brake up to 1.25″ Diameter X 3.0″ Long!!! Video and Test Results in product description. 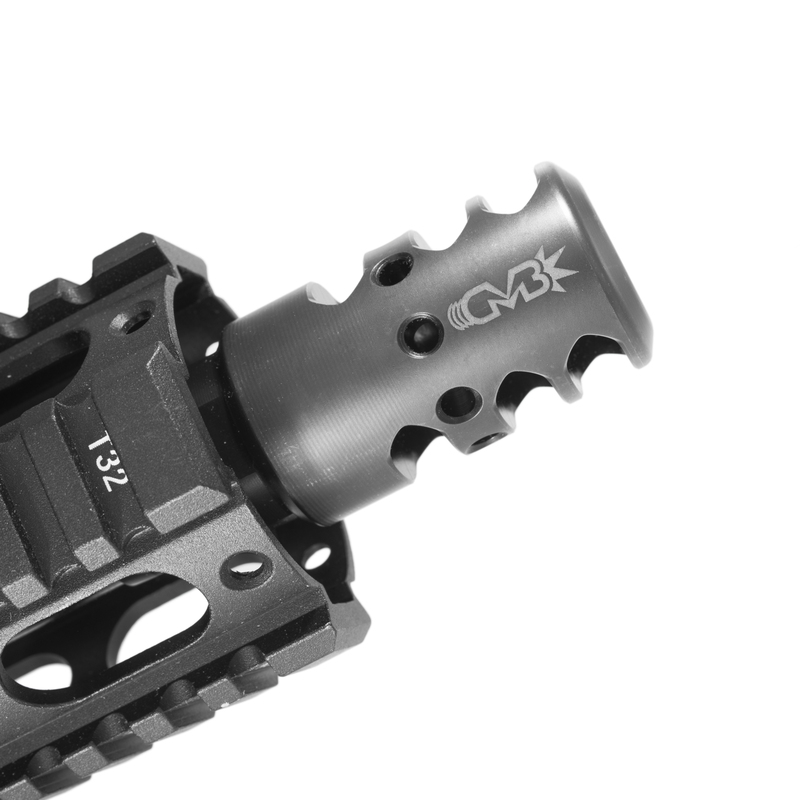 Q-Type Extreme Duty Muzzle Brakes are here! Coming Soon! 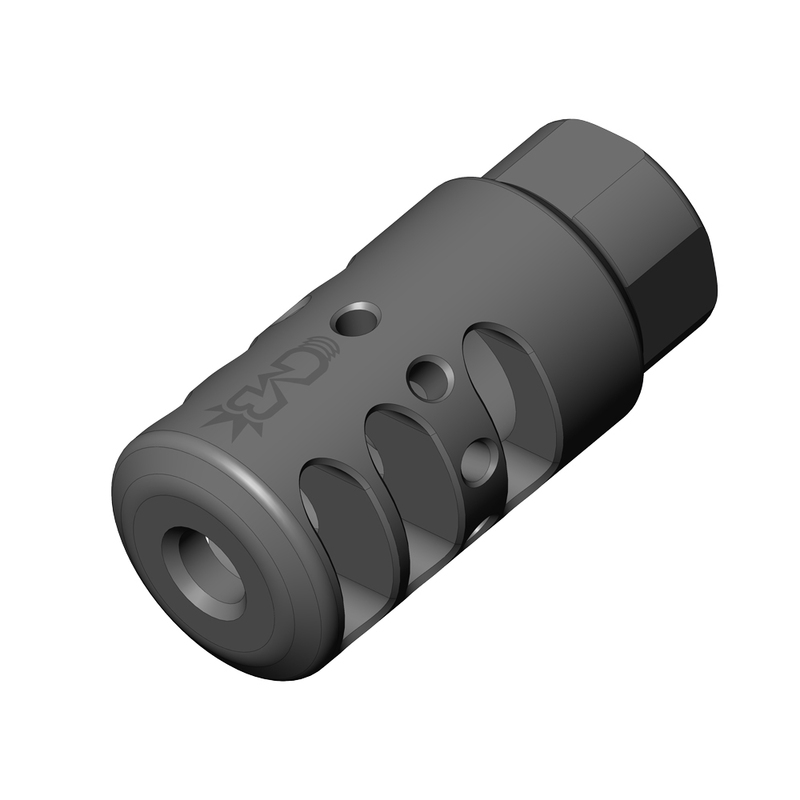 The Q-Type Extreme Duty Muzzle Brake! Due the week of September 19th 2016. 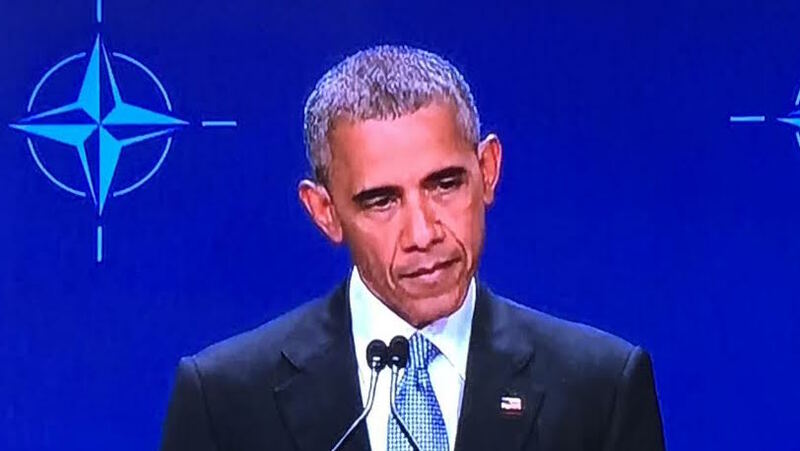 President Obama has the ability to issue “executive orders” that direct the agencies controlled by the Office of the President to change the way they operate. Government agencies have a large amount of leeway when it comes to the interpretation of the law and how it applies to the American people, and these executive orders are intended to allow the president to specifically direct those agencies in whatever manner he sees fit. By way of background, the AECA and ITAR concern rules by which military materiel is exported from, and imported to, the United States. The so-called “defense articles” governed by the AECA/ITAR are compiled in what is known as the U.S. Munitions List and include some, but not all, firearms and ammunition, as well as their parts and components. Thus, for purposes of the regime, a spring or floorplate from the magazine of a controlled firearm is subject to the same regulatory framework as the firearm itself. The AECA/ITAR require anybody who engages in the business of “manufacturing” a defense article to register with DDTC and pay a registration fee that for new applicants is currently $2,250 per year. These requirements apply, even if the business does not, and does not intend to, export any defense article. Moreover, under ITAR, “only one occasion of manufacturing … a defense article” is necessary for a commercial entity to be considered “engaged in the business” and therefore subject to the regime’s requirements. 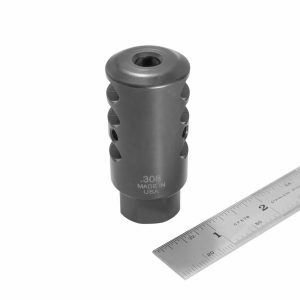 The issue is the definition of “manufacturer.” Previously, only machine shops who actually produce a firearm from scratch were required to register as a “manufacturer.” Local gun shops with a shade-tree gunsmith happily threading barrels and trueing up receivers were exempt, since they didn’t actually make anything new. This new interpretation of the ITAR regulations has changed all that, and anyone who so much as threads a barrel now must further register with the Federal government as a “manufacturer” and pay an additional $2,250 in registration fees. That might not seem like a lot to a big shop, but for the small mom-and-pop gunsmiths this could be enough to put them out of business. DDTC’s move appears aimed at expanding the regulatory sweep of the AECA/ITAR and culling many smaller commercial gunsmithing operations that do not have the means to pay the annual registration fee or the sophistication to negotiate DDTC’s confusing maze of bureaucracy. Like ATF’s early “guidance” this year on theGCA’s licensing requirement for firearm “dealers,” it is also likely to have a significant chilling effect on activity that would not even be considered regulated. The administration’s latest move serves as a timely reminder of how the politicized and arrogant abuse of executive power can be used to suppress Second Amendment rights and curtail lawful firearm-related commerce. That lesson should not be forgotten when voters go to the polls this November. 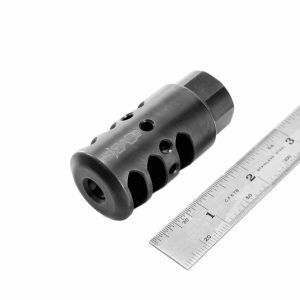 Super Slow Motion Video of the C5 ClawFace Muzzle Brake in Action! 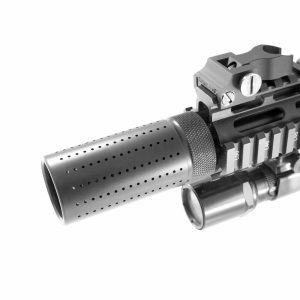 Gun rights advocates hope to remove a number of federal restrictions related to the purchase and ownership of firearm silencers. 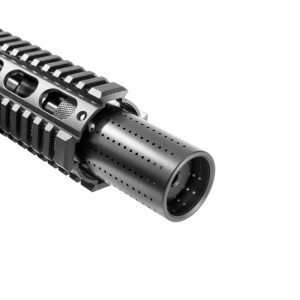 The Hearing Protection Act would exempt silencers from the National Firearms Act of 1934, a law that also regulates fully automatic weapons. 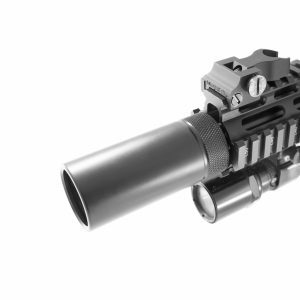 Under the current law, individuals who wish to purchase a silencer must pay a $200 tax and wait several months for the ATF to process paperwork on the item before bringing the accessory home. The process is more complex than buying a firearm. 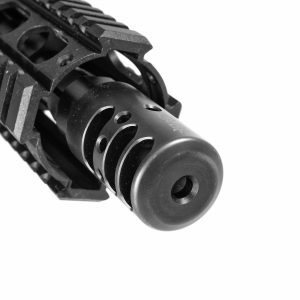 A coalition of gun rights groups, including the NRA and the National Shooting Sports Foundation, are making the Hearing Protection Act a top priority for 2016. SilencerCo, a leading silencer manufacturer, is also at the center of the effort. Rep. Matt Salmon (R., Ariz.), an avid shooter who uses silencers and introduced the Hearing Protection Act, said he has seen a groundswell of support from his colleagues. Salmon and Waldron both said silencers are not used in crime. 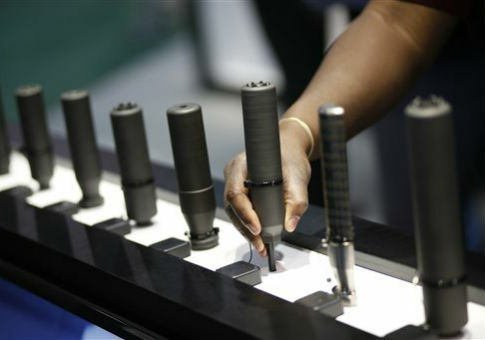 “There have been zero legally-owned suppressors used in crimes since the ‘30s,” Waldron claimed. Salmon said that is why there has been little organized resistance to the bill. “I think once people know exactly what they do and the benefits they have, the opposition just kinda withers up because it’s not rational,” Salmon said. Two leading gun control groups, the Brady Center to Prevent Gun Violence and Everytown for Gun Safety, did not respond to a request for comment about the bill, but gun control advocates have opposed silencers in the past. 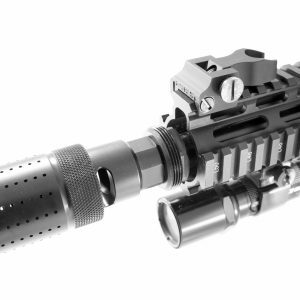 “A silencer is useful to assassins but clearly has no purpose for sportsmen. 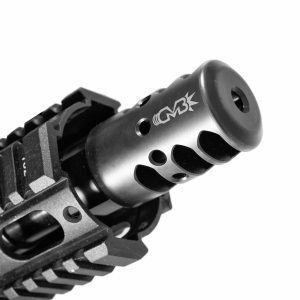 Silencers are also illegal,” a 2008 report by the Brady Center said. Many gun advocates view silencers as safety devices because they dampen the sound of gunshots so they do not damage shooters’ hearing. 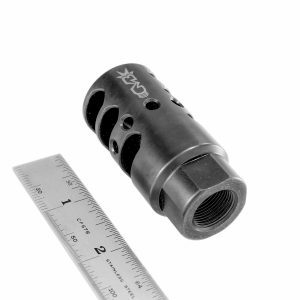 Some hunters like silencers because they prefer not to use hearing protection that blocks out the sound of approaching game. This results in hearing loss for many hunters, including Salmon. 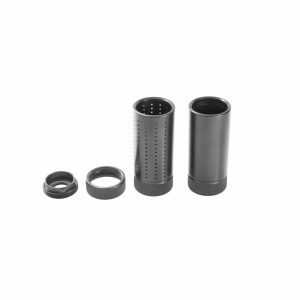 Waldron said that current restrictions on silencers do not make sense. He pointed out that silencers and car mufflers are essentially the same technology, invented by the same man. Advocates of the bill said it is likely to pass the House and Senate easily this year, but will face a potential veto from President Obama.